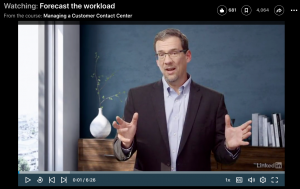 Everything to do with getting resources right in a contact center begins with predicting what the workload will be. Workload is what leads to how many agents are hired, what your schedule should look like, the number of work stations you need, even how many snacks are in the cafeteria. You get the idea. 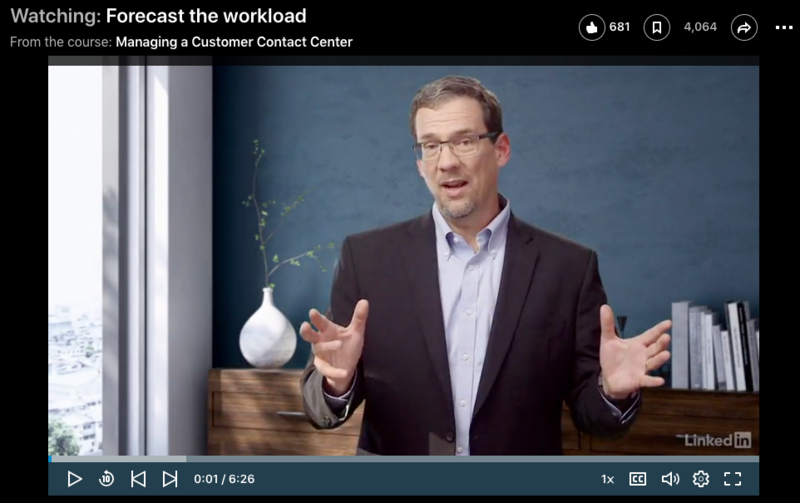 In a recent LinkedIn Learning course that I recorded “Managing a Customer Contact Center,” I identify the three components of workload, look at typical patterns that exist, and explore how quantitative and judgmental methodologies can enable you to develop accurate forecasts. This entry was posted in Call Center, Contact Center, Customer Service, Workforce Management and tagged Brad Cleveland, Call Center, Contact Center, Customer Service, Forecast, LinkedIn Learning, workforce management by Brad Cleveland. Bookmark the permalink.